Soo Ok Han studied architecture in Canada and United States and received her Master’s degree in Architecture at UC Berkeley. She currently practices architecture in San Francisco, where she designs arts, communities, and education programmed buildings. She also teaches architecture and writes books for young students. In this essay, Han discusses how the Spring 2015 GUH course Public Space: Placemaking and Performance influenced her classroom lessons on architecture to young students. Dérives are for kids, too. Although dérives were developed as a sophisticated technique of city exploration by the Situationists, these engaged city walks are also accessible and valuable for children. With my teaching partner Sun Kwon, we lead architecture workshops for elementary school students, helping them create cognitive maps and use all their senses to move through a neighborhood with a new mindfulness. Paying close attention to place and space is a learned skill. I honed this ability--and learned how to teach it-- in an unusual Global Urban Humanities course taught by Erika Chong Shuch (Theater, Dance and Performance Studies) and Ghigo DiTommaso (Landscape Architecture and Environmental Planning) in Spring 2015 when I was a M.Arch student at CED. The course was named Public Space: Placemaking and Performance. The course was about investigating the existing normative framework that surrounds public space, and intervening this notion through various techniques. The first part of the course was Theory of Practice, where we reviewed an extensive selection of theoretical writings and works on urban public spaces. The second part of the course was called Practice of Theory. We had a series of assignments asking us to engage with public space in the Bay area through mapping, writing, intervention, and performance that was thought-provoking and sometimes uncomfortable. The two most memorable assignments were in the second part of the course. In one assignment entitled Drifting and Mapping, we were asked to explore the public space through the technique of dérive, a Situationist technique of exploring the city guided by the subconscious cues of sensory experience. My project was ‘Berkeley through others’ lives’ in which I chose the first stranger who passed by my house as my “guide” and followed secretly behind him. I went down streets and shortcuts I would never walk, and got more and more curious about what he was up to. After about a half an hour, we ended up at Tandoori Nite on University Ave., an Indian restaurant. I stopped following at that point. The other assignment consisted of performances in downtown Berkeley and Costco where we as a class engaged everyday spaces in unconventional ways such as placing our heads against the pavement and ‘listening to the ground’ that made other people in that space amused, uneasy, and curious. I realized what I was looking for in both assignments. It was about the stories related to the space they were in. This was the beginning of my interest in storytelling, and how story can be a tool to engage people with the architecture and the places they are in. Sun Kwon (M.Arch 2018) and I(M.Arch 2016) have been running architecture workshops in schools where we use story and storytelling to relate places to kids. We ask them to come up with a story and imagine buildings in the story as freely as they want. They also construct stories for existing buildings to bring the real beyond what it is. We don’t necessarily hope that they will grow up to be architects. 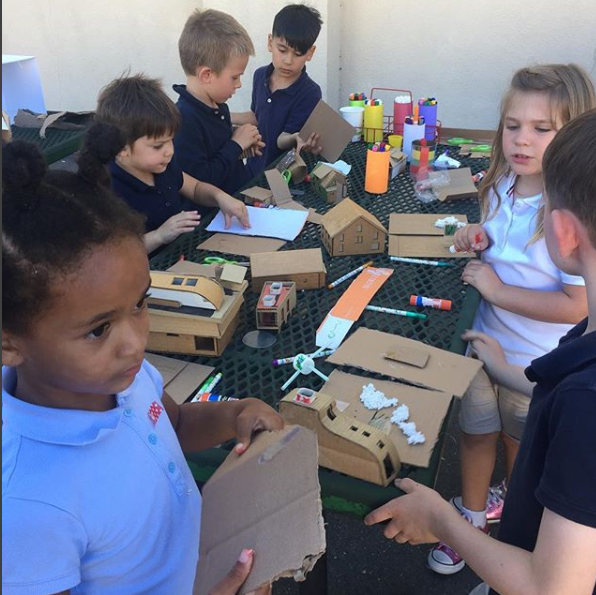 We hope that our classes can give kids a chance to explore, imagine, and learn that space is not just about physical form but is a combination of the narrative and the activities and engagements that happen within. I asked the young students in my class to explore the vicinity of the school using the same dérive technique and make a map as freely as they wanted. It resulted in unexpected rich series of mappings and documentations, foraged materials, and memories, and stories presented in class. 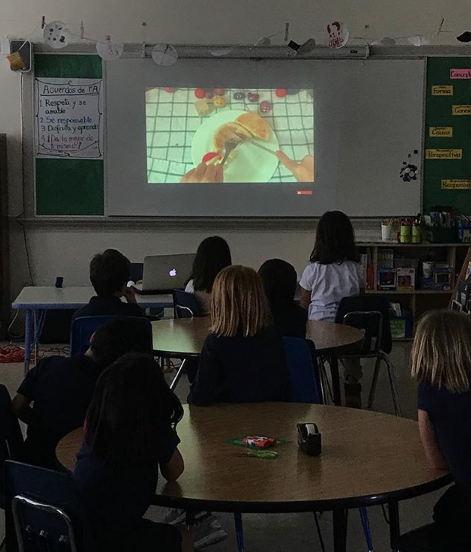 I continue to ask these questions and teach young students to discover together how we see and interact with the space and architecture around us. If you are curious about our work, please visit our website and instagram! Lecture by Charisma Acey and Ivy Mills for Fall 2018 Colloquium The City and its People. Fall 2018 GUH Colloquium student Rachel Cook wrote the following reflection on the October 9th lecture given by Charisma Acey, Assistant Professor of City and Regional Planning, and Ivy Mills, Lecturer in the History of Art. 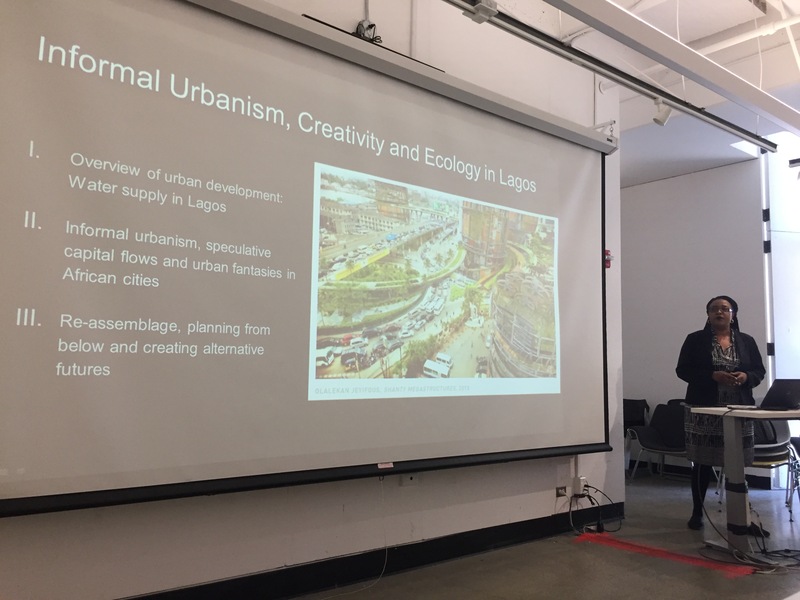 Charisma Acey (Assistant Professor of City & Regional Planning) and Ivy Mills (Lecturer in History of Art) shared their research on urban development and contemporary arts culture in Lagos, Nigeria. Lagos—the fastest growing city in Africa—epitomizes many of the challenges and possibilities that come with rapid urban growth. 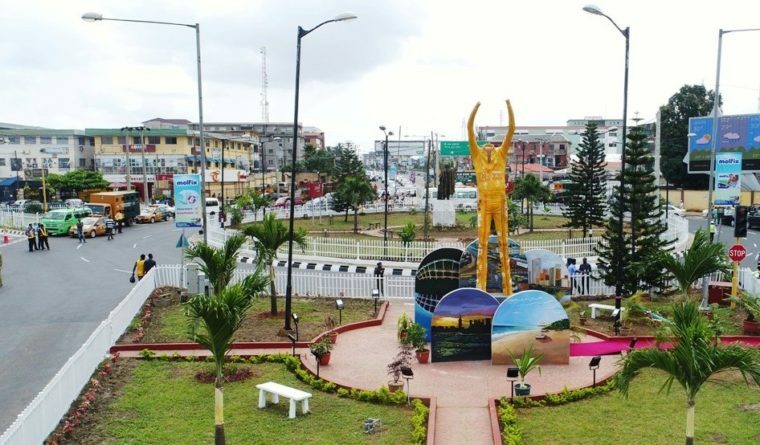 Home to an estimated 14-20 million residents, the city has become the cultural and economic center of Nigeria. It is the capital of the country’s film industry, and the center of the nation’s literary production, launching writers like Chinua Achebe and Chimamanda Ngozi Adichie onto a global stage. But this growth is not without challenges. According to Acey, the legacy of the colonial encounter has had long-term impacts on the urban landscape in Lagos. The city’s history was founded on deep racial and social inequalities which can still be felt today. The story of Lagos is really “a tale of two cities”: on one side is the State’s vision for elite-centered, foreign investment-driven urban development. On the other are the blighted areas with informal settlement and residents living on less than $2 per day. These spatial and social inequalities are rooted in the city’s colonial past; displacement of economically disadvantaged populations began under British rule with widespread slum clearance done in the guise of public health. The same type of displacement continues today, as foreign speculators and the State take over public swampland (often the site of informal housing settlements) in order to realize their vision of Lagos as an international megacity. The disparities between different social groups in Lagos have manifested not just in terms of land, but also in terms of access to infrastructure and essential resources. The Lagosian population is growing exponentially, but sewage and water systems are not pacing with that growth. In some cases, a single pipe might serve hundreds of people, leading to unpredictable access and dependence on a privatized water market. Some researchers have suggested that the intermittent water supply in some cases could be due to a deliberate withholding of water intended to drive certain populations out of areas speculated for development. The competing visions of Lagos’ future have carved deep divisions in the city, but the conflict has also mobilized local arts advocates, NGOs, and artists—all of whom are responding to the crisis with creative forms of protest and more inclusive visions for Lagos’s future. Ivy Mills pointed to a 2018 exhibition sponsored by the Justice & Empowerment Initiative, which showed photographs of the displaced Otodo Gbame community. The images were displayed in an upscale hotel lobby in the hopes of raising awareness about displacement in Lagos. This turn towards visual activism is just one of many exciting phenomena emerging from the city’s ‘art renaissance’. In addition to NGO-sponsored art activism, a variety of creative cultural centers are cropping up throughout the city in the form of public sculptures, state-sponsored festivals, privately-owned art galleries, and contemporary art spaces. Image caption (left to right): L) City Planning Professor Charisma Acey presenting at 2018 GUH Colloquium; R) Picture of the controversial Fela Kuti statue in Lagos, Nigeria. Jason Luger from City and Regional Planning has recently published two essays. In August 2018, his article “Digital Geographies of Public Art”, co-written with Martin Zebracki, was published in Progress in Human Geography. 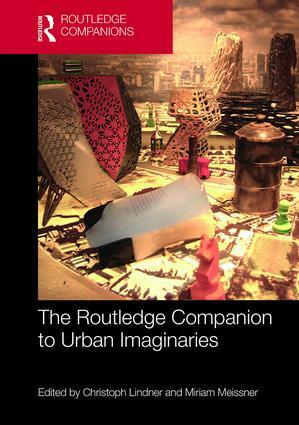 He also contributed a chapter to the upcoming book Routledge Companion to Urban Imaginaries. Read the abstracts and find the articles at the links below. Luger, Jason and Martin Zebracki. "Digital Geographies of Public Art." Progress in Human Geography. Find the article here. Responding to geography’s digital and political turns, this article presents an original critical synthesis of the under-examined niche of networked geographies of public-art practices in today’s politicised digital culture. This article advances insights into digital public art as politics, and its role in politicising online public spaces with foci on: how digital technologies have instigated do-it-yourself modes for the co-creation of art content within peer-to-peer contexts; the way art is ‘stretched’ and experienced in/across the digital public sphere; and how user-(co-)created content has become subject to (mis)uses, simultaneously informed by digital ‘artivism’ and a new global politics infused with populism. Luger, Jason. "Digital urban imaginaries." In The Routledge Companion to Urban Imaginaries, edited by Christoph Lindner and Miriam Meissner, 147-158. Find chapter here. In a paradigm where urban theorists are re-mapping the concept of “urban” as a planetary phenomenon (Brenner, 2014), both rooted to place and dynamic/relational in scale, scope, and process, cyberspace emerges as a crucial site of encounter and transformation (see Rose, 2016). “Space-time compression” (Massey, 1993) and the “network society” (Castells, 1996) have given rise to a new digital public with instant, real-time, social, cultural, and political networks forming and relating across diverse contexts, assembling into hybrids and temporary, yet powerful, linkages to material urban space in different cities. Meanwhile, populist cultural wars have erupted and ricochet around the planetary urban-scape in digital and material forms, linked in theme yet varied and highly contextualized. The cyber-city offers a lens to explore these cultural contestations and the ways that hybrid understandings of identity (gender, sexuality, race, religion) as well as class and ideology are formed by these cyber-encounters, and thus, transform the urban and expand the discussion on the digital urban imaginary. Engaging with the themes of the digital encounter, populism and the new authoritarianism sweeping the globe, this chapter highlights one example of the complex relationship between the built environment, cyberspace, and contested politics. The “Pink Dot” LGBTQ gathering in Singapore, and accompanying “Wear White” campaign, demonstrate the way that the political encounter occurs in and out of territory, and the power of populist imagery and symbols in material and immaterial forms. Substantively, this chapter explores the way that the urban cyberspace is crucial to negotiating, performing, and realizing transformative politics at scales much larger, more hybrid, and more planetary in nature than the territorial city itself. In cyberspace, the populist cultural encounter becomes a global conversation with a powerful capability to remake space, place, and politics. Lecture by Shiben Banerji for Fall 2018 Colloquium The City and its People. Fall 2018 GUH Colloquium student Jolene Lee wrote the following reflection on the October 2nd lecture given by Shiben Banerji, Assistant Professor of Art History, Theory and Criticism from the School of the Art Institute of Chicago. The idea of the 'global city' suggests a certain interchangeability through converging similarities in economic activity, spatial organization and to some extent, social structure. The 'global city' is hence necessarily one which is bound by a certain aspirational order, where the concluding act of becoming indicates a 'belonging' to a larger, global economic network. The status of a 'global city' in contemporary terms is one which is coveted as it represents an arrival of sorts amongst a network of urban spaces that are at the forefront of economic globalization. Banerji posits that this status of a 'global city' is one which is predicated on function based on the distribution of capital and the control of labor, yet at the same time behind these necessary functional networks are other less studied historical transnational links. Drawing upon examples of interwar globality, Banerji introduces the work of the Theosophical Society, a worldwide heterodox religious movement. The ideological underpinnings of theosophy brings forth the conceptualization of a universal brotherhood, where the attainment of spirituality is predicated on social improvement. He draws the link between theosophy and the meanings of a Global City, where the transnational reach of religious and spiritual teachings shapes how the globalization of capital could catalyze new ways of thinking about urban form. Using the example of designs by Swiss-French modernist architect Le Corbusier and the Belgian writer/lawyer and pacifist Paul Otlet for a Cité Mondiale in late 1920s Switzerland, he draws parallels with Le Corbusier's work a few decades later in the 1950s India (eg. Plans for Gandhi's Memorial). It mattered not that these plans were never realized, as their associated artifacts, such as drawings, could also do the work of creating a global imaginary. Banerji suggests that urban form is a mode of transformation of the imagination and not merely concerned with the 'thingliness' of the city. 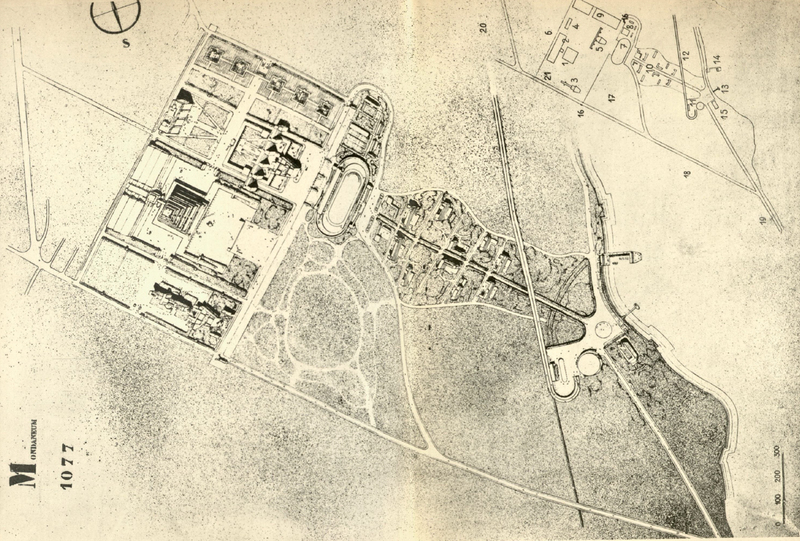 The circulation of these visual materials lends itself to the noble idea that urban form as suggested in these plans were sufficiently a prompt for hope, and imbued within them was a script that transcended geographic contexts. This lecture is a facet of Banerji's continuing work on the global formation of landscape, urban and architectural design. Extending from his first forthcoming book Lineages of the Global City which focuses on the work of the Chicago architects Marion Mahony and Walter Burley Griffin, Banerji draws together a transnational cast of characters including pacifists and anti-colonial thinkers who tapped upon the collective imagination of city design and planning in shaping a new democratic subject - one which is necessarily spiritual and yet situated within the framework of modernity. The geographical distribution of capital and labor lends itself to imagining links with international cities and this theosophical fraternité was envisioned as a means to global peace during those interwar decades. In this lecture, he argues that this desire for a spiritual and conceptual brotherhood and the pursuit of financial capital are concomitant with the manifestation of the global city and its associated imaginaries. This interwar, transnational discourse of the global city, as articulated in the examples presented, posits a new conceptual dimension to the boundaries of what 'globality' could represent in contemporary discourse of the 'Global City'. Image caption: Le Corbusier and Pierre Jeanneret, Cité Mondiale, axonometric,1928.